Pyongyang appears to have shunned Moscow’s attempts at direct engagement. Kim Jong Un’s recent brutal purge of his uncle Jang Song Thaek and other senior officials was apparently connected to high-level discord over North Korean relations with China. As a result we may well see a spike in bilateral tensions between Pyongyang and Beijing. But China is not an isolated case. 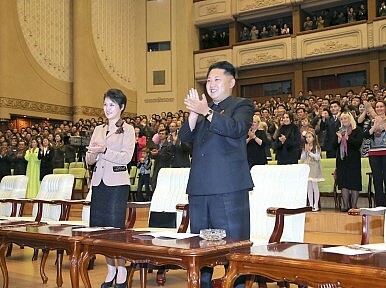 Observers have largely failed to notice that North Korea had managed even before the purge to alienate Russia and that trend apparently has no connection to the DPRK’s domestic policies. Indeed, Kim Jong Un has done nothing to advance the Russo-North Korean accords reached by his father Kim Jong Il in 2011 with Russian President Dmitry Medvedev. These accords were the product of a Russian initiative triggered by the crises of 2010, namely North Korea’s shelling of Yeonpyeong Island and its torpedoing of the South Korean ship Cheonan. Russian officials announced in September 2010 that the region was on the brink of war and fully grasped that in case of war Russia’s vital strategic and tangible material interests would suffer grievously, yet Moscow possessed no means of leverage over North Korea and had little influence on South Korea. Russia’s ensuing diplomatic initiative culminated in the agreements of August 2011 between Medvedev and Kim Jong Il. North Korea announced its readiness to consider the possibility of a trans-Korean railway linked to the Trans-Siberian railway (TKR-TSR) and a trans-Korean gas pipeline connected to Russian gas holdings. North Korea could then charge tariffs for the gas passing through its territory and potentially ultimately avail itself of that gas as a possible alternative to nuclear energy in the future. South Korea liked the idea because it allowed the ROK to invest in the North without disavowing previous sanctions and policies it had announced and because it reduced tensions. Meanwhile, for Russia the accord gave some hope of upgrading Russia’s rather marginal status in the Six-Party talks while also gaining leverage over both Koreas and reducing tensions. Russia even forgave North Korea’s state debt as part of the agreement. Yet in the two years that followed nothing was heard from North Korea leading to further progress on the basis of these 2011 accords. And Russia’s most recent actions, though largely unnoticed, display its frustration with the North Korean government. At the APEC Summit in Bali and then again in November 2013 in Seoul, President Vladimir Putin announced Russia’s readiness to build an underwater gas pipeline from Russia directly to South Korea, despite the cost. In other words, Putin is ready to bypass the North. Beyond that he offered South Korea, but not North Korea, all kinds of investment opportunities including participation in joint projects around the Russian railway from Rajin-Sonborg port in North Korea to the Russian town of Khasan. Revealingly, Putin made no mention of North Korean participation, clearly signaling Russia’s displeasure with the DPRK. Beyond those subtle but clear indicators, Russian commentators offered more overt expressions of irritation with North Korea. Former Foreign Minister Igor Ivanov claimed that Russia could play a significant role in the inter-Korean settlement by developing economic relations with South Korea, not North Korea. Similarly, Russian analysts like Aleksandr Zhebin of the Russian Academy of Sciences Far East Center, Institute for Korean Studies, wrote recently that North Korea often acted in the past without regard for Russian interests and that this is happening again with its nuclear and missile programs. These processes create crises that almost approached in intensity the Cuban missile crisis (a red flag to any Russian writer). In the current situation North Korea’s policies could trigger the “most unexpected developments.” Zhebin also argues that for North Korea it is still important to demonstrate the existence of the “Moscow alternative to the United States and its allies and also to China,” indicating that he sees Russia as pursuing Korean objectives that are distinct from both the U.S. and China. He therefore warned Pyongyang that, “The degree of support and understanding that the DPRK can expect from Russia must clearly be directly proportionate to Pyongyang’s readiness to consult with Moscow on questions directly affecting our security interests.” This warning, of course, indicates Moscow’s chagrin at the fact that North Korea does not give Russia a veto or even leverage on its decisions, whether or not they affect Russian security interests, vital or otherwise. This North Korean tendency becomes all the more alarming for Moscow when it considers that the moribund Six-Party Talks already confront an exceedingly fragile and possibly disintegrating security situation on the Korean peninsula. Moscow also remains concerned about the lack of progress on resuming the Six-Party Talks. In October 2013 Foreign Minister Sergei Lavrov warned all parties against “muscling up” in Korea and urged the quickest possible resumption of negotiations. Those two years of attempts at direct engagement left Rusia still with no leverage over North Korea. Today Russia and possibly China are harvesting the results of their policy of resisting U.S.-led pressure on the DPRK and instead seeking to offer it inducements to return to the Six-Party Talks. It may well be the case that neither side has sufficient influence and equally possible (and not a contradiction) that North Korea’s stability is itself now open to question, as many commentators have suggested in the wake of the purge. Certainly we cannot even begin to guess at its foreign policy motivations, and the purge only further muddies the waters. However it remains clear that nothing has deflected Pyongyang from nuclearization. Meanwhile the regional situation has become that much more dangerous as both North Korean and South Korean capabilities grow and China embroils itself with Japan and the U.S. The evolving situation around Korea – rising Chinese power alarming the other five parties to the talks and North Korea’s ability to move forward on its nuclear and military programs with impunity continuing – can only raise the tensions in East Asia. This may help explain Russia’s efforts to retrieve whatever influence it can muster over at least one of the Korean states. In the meantime, it appears nobody knows for sure why North Korea now acts as if it can antagonize China and even the weaker Russia with equal impunity and what benefits the regime derives from this line of action. While Russia is by no means the most significant player in the Six-Party Talks; its recent actions suggest that it has begun to view the strategic situation around Korea with growing apprehension and that 2014 could well be a dangerous year on the Korean peninsula. Has something changed about Chinese-North Korean relations behind the scenes?